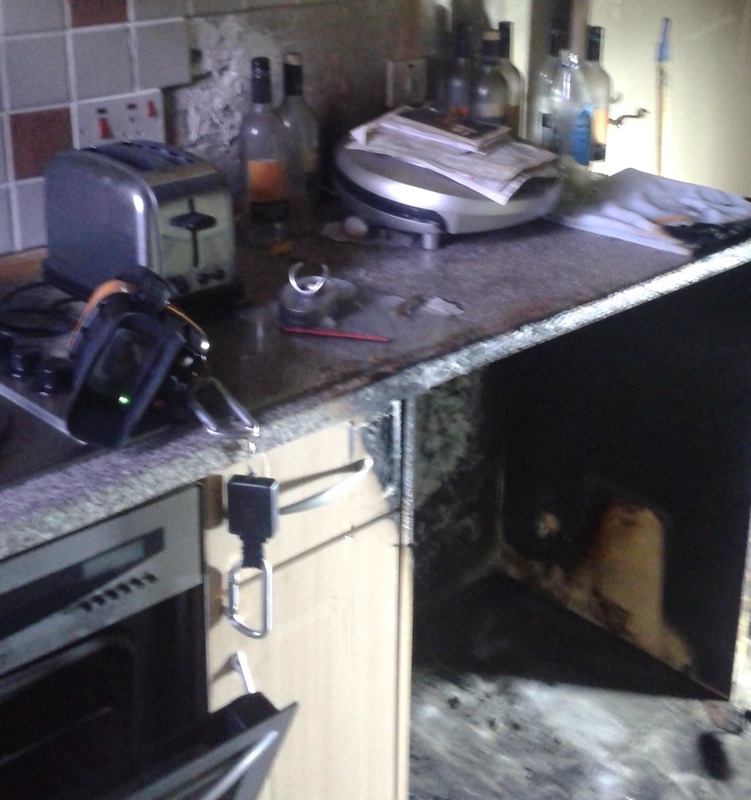 irefighters were called to a fire in a kitchen at a house in Alloa on Saturday afternoon (5 December). Crews from Alloa were mobilised by Operations Control Maddiston at 1.13pm to Sutherland Avenue and on arrival discovered a small fire in the kitchen that had extinguished on arrival. Firefighters quickly ensured the area was safe by cutting away the damaged area. One male casualty suffered slight smoke inhalation after trying to extinguish the fire believed to be caused by discarded smoking materials in a bin. He was treated at the scene by Ambulance personnel but did not require hospital treatment. Station Manager Mark Bryce explained: “Any fire in someone’s property must always bring home the importance of working together to prevent fires, and raise awareness of how we can reduce the risk of fire in the home. “Our advice to anyone who does experience a fire within the home is to get out, stay out and call us out. Close the door behind you and never try to tackle a fire yourself. "Discarded smoking materials are a common cause of house fires – it only takes a moment of carelessness to cause a fire that could cost someone their home, their possessions, or even their life. “It is vital that smokers make sure they have fully extinguished cigarettes and matches immediately after use and, once lit, cigarettes, pipes or cigars should never be left unattended. “A cigarette end can smoulder for hours before eventually starting a fire that can quickly spread flames, heat and toxic smoke throughout a property, so it’s essential that these are always disposed of correctly. “People should never smoke while they are in bed as it’s far too easy to nod off and start a potentially devastating fire. “This incident also shows why every home needs to be protected by working smoke alarms. Smoke alarms give you that vital early warning should a fire start. We provide free home fire safety visits and fit smoke alarms where required.